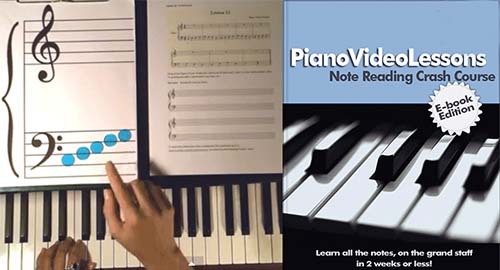 Note Reading Crash Course-Learn to Read Piano Music|Free! 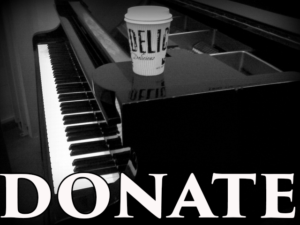 This FREE video course will teach you to read piano music! In this series of 15 free video lessons, you will learn to read, write and play all of the notes on treble and bass staff. 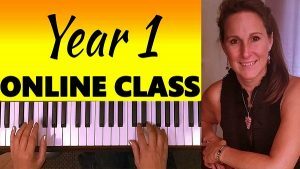 The course is paced with each lesson covering 1 to 3 notes, and giving you plenty of practice, so the notes will really sink in! 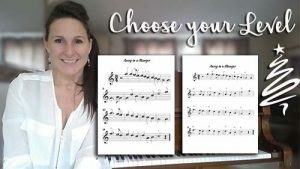 as sheet music – so you can play along. To make the most of this course, it is best if you know your piano key names and your finger numbers. 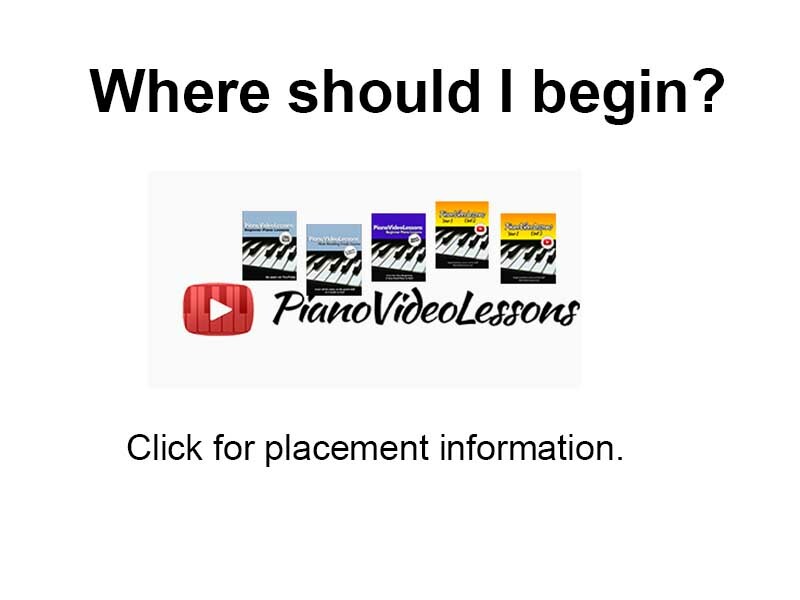 Don’t worry, I have lessons for that: Lessons 1 and 2 of Pre-Beginner Piano Lessons: Click here. Lesson 9 - Playing with Both Hands! Lesson 15 - All The Notes!